The ‘Drones in Agriculture’ concept stemmed from my part time employment on a property in central west NSW where I undertook many hours of labour and observed where a drone would help combat what’s known as ‘dead man hours’, that essentially mean something that needs doing but can often be time wasted as it doesn’t need attention, for example checking fence lines, water and food supplies. This started my thinking into how I could improve yield and time management for farmers by gaining a drones view of crop infection areas, weed spraying paddocks (the idea being that specific parts needing attention can be identified and only that amount of pesticide can be purchased, instead of using on the whole paddock), fence lines and livestock numbers as well as food checking from an aerial view. I saw the idea being done with the use of UAV drones that have a continuous flight pattern, however knew the quadcopter would be able to give a greater visual representation as most farmers can identify problem areas with just video footage. I was able to bring this technology to a rural area, whereby most people were still unaware or extremely uneducated about the products. Firstly, I had to obtain a drone as the university ones weren’t covered by insurance and I didn’t trust myself to take them so far away. So I bought a Kaiser Baas Alpha Drone, that proved to be faulty and a waste of money. So I saved up and invested in a A.R Parrot Drone 2.0 Elite Edition. This was a great ‘low budget’ drone that allowed me to get my concept across. Not the greatest stability or features but the idea was able to be showcased. Next I had to travel 6.5hrs home to Parkes and obtain enough footage to make a YouTube Video detailing my theory. I reviewed this footage, edited out the shaky film and various points of the camera pointing to the sky, to showcase crop surveillance, weed spraying areas, livestock checking, aerial photography for house planning and fence areas that needed attention, all areas I wanted to showcase. I then used a backing track of a popular song to invite people from all interests to partake in my hope for a phenomenon. As mentioned above one of the many problems and useful learning curves I encountered was the use of an effective drone with the initial one being faulty and un usable due to a video recording malfunction. From the drone I did end up purchasing the camera stability and overall capturing wasn’t at the standard I needed for effective and clear footage. This being said, the one I had fitted my budget and demonstrated how with the right equipment (i.e. 3 axis gimbal camera, longer flight time battery life, increased range) the results would follow. Adding to the problems, I flew my drone too close to a tree and it ended up dropping out as a result of being caught, and I managed to snap the central cross which attached to the wings. This meant that I had to superglue it and leave it for 72hrs, which greatly affected the time I had for footage capturing. Matched third party content on YouTube was another problem area, whereby the videos were unplayable on some devices (such as tablets, consoles). This was okay as long as I agreed to the conditions which I did, however when the idea starts making inroads into a career I’ll have to consider this for next time. The prosperity of this project is exciting with the RMS (formally RTA) keen to have me on board for their bridge inspections and surveillance. They’ve agreed to trail my ideas of using the drone to inspect bridges above and below without the need for scaffolding that’s both costly and time consuming. They’ve agreed to a grant and a trial run and if they like the idea and can see it being innovative in their organisation, I could well be contracted to work for them alongside university research into the utility of the technology. I also plan on taking this concept of aerial surveillance to council areas for the purposes of rooftop maintenance, roads and even plantation. Agriculturally, the project was great in identifying ways to use a quadcopter that haven’t already been done. Thus, the crop inspection and data around that is covered extensively by the UAV drones, what the quadcopter can do is provide a more close vision of livestock numbers, feed and water supplies and aerial view of the crop, not an analysis but an observation. This project has opened opportunities in terms of business proposals, self organisations and direction for future DIGC subjects at Uni. Click the picture for a link to prezi ! The potential for drones to be used as surveillance tools for bridge maintenance is very real. 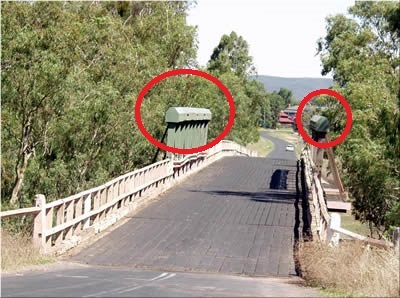 Some bridges have a span of only 5m in width (meant for one car to travel over at a time) which makes it very difficult for an inspection to be made. Flying a drone above the bridge giving a bird’s eye account of it would allow for a quicker and cheaper process. Access to the sides of the bridge railing is limited to its height of around or over 2m, to which inspection is unavailable, a drone can sit a few metres or even centimetres above to get a detailed photo or video footage along the top. 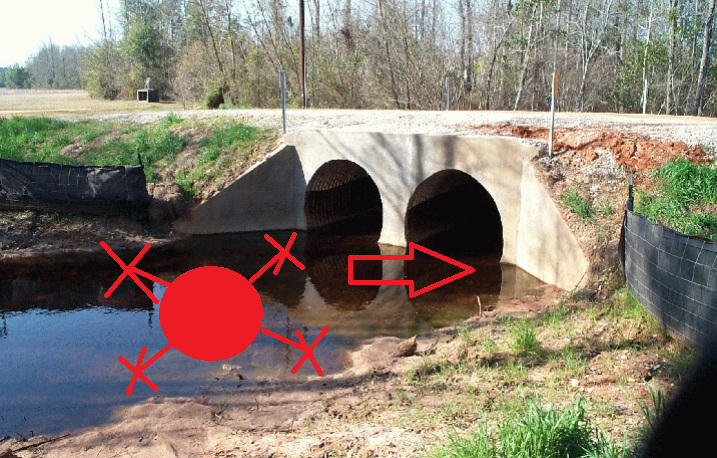 Another element of drone potential for a bridge is underneath, especially when surrounded by river flow or materials making it impossible and unsafe for human activity. 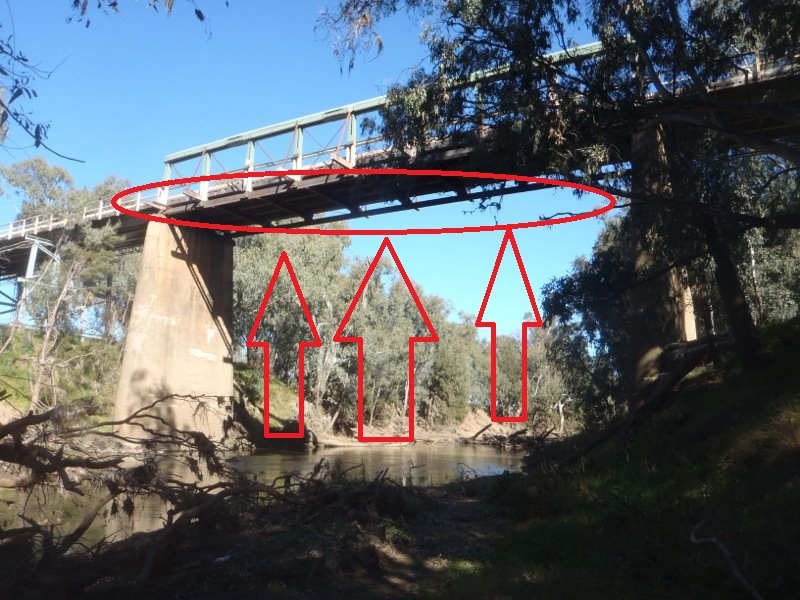 The following bridge is located at Gooloogong and is the Holman bridge which has recently been updated, yet acts as a great example of the uses for a UAV. This indicates the top part of the bridge railing that could potentially have a drone flown above it to inspect any damage areas in need of attention. This wouldn’t threat any human safety, yet still providing instant feedback with detailed photos or video footage to the inspector’s discretion. Perhaps the greatest asset to the RMS with a drone would be the accessibility of the underside of a bridge such as this one. With a river underneath and no access from land to inspect underneath, the current methods are to erect scaffolding around the areas along the bridge. With a simple drone, photos, live feeds and video footage can be captured and recorded instantaneously. This would be a huge saving on resources and funding for a simple inspection as the drone could hover underneath at a constant height and speed taking as many recordings as deemed necessary, as well as a live viewing. Current regulation states that a drone cannot be flown within 30 metres of cars, boats and buildings, however with correct permission this is possible. Even if the road was required to be closed for this to happen, the exciting factor is that it would take approx. 20mins to record and capture photos necessary for a thorough inspection, in contrast to a scaffold. 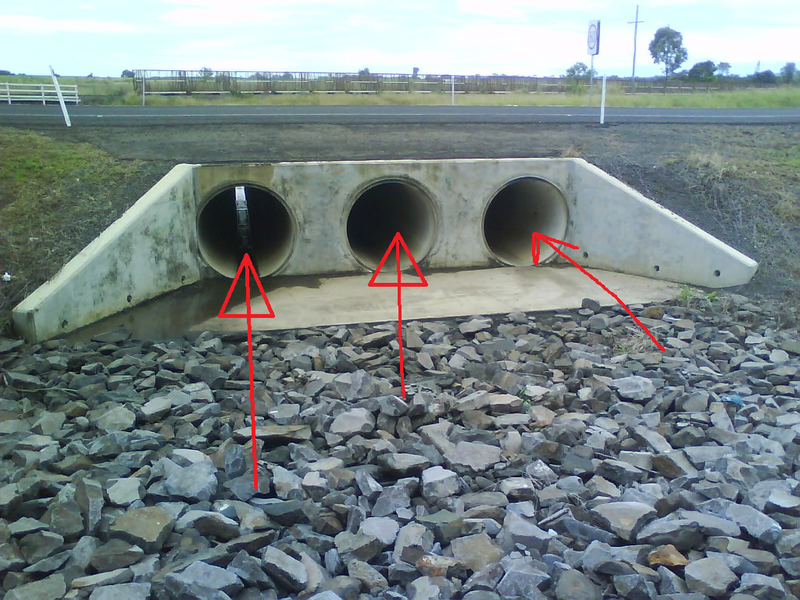 Traditionally, the surveillance of the inside quality of a prevalent culvert has required a physical exploration by an employee to get inside a make observations. These areas are often wet, dirty/muddy, unhygienic in terms of syringes as well as infested with bugs, spiders and other unwanted inhabitants. By sending a Drone inside this area, the user is able to control a constant altitude as well as 360 degree swivel option to view all parts of the inside of the pipe. Drones today are no larger than 1m x 1m in size, and continue to go smaller to the user’s needs, which is ideal for a space such as these. As the quality of the drone moves up, so does the accessibility of useful functions such as manoeuvrability of the camera separate to the drone itself, which allows a view of the top of the pipe to be captured and inspected. This eliminates health and safety hazards with all kinds of materials dropping from the roof of the pipe. Being inside a consdensed space also provides a shelter from the elements of weather that affect some budget drones (such as wind speed affecting stabilisation or stationary ability of the drone, which allows easier piloting and better quality footage. 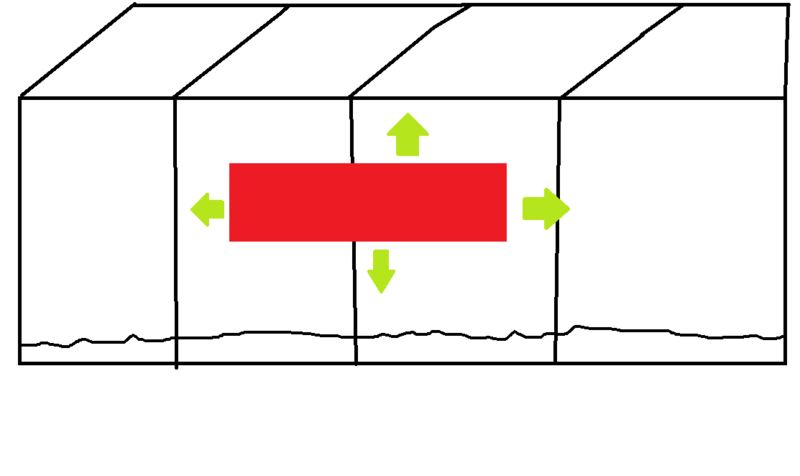 This simple drawing shows how the drone could be piloted into the culvert from a distance without the need for the inspections requiring people to physically go inside. ↑ This shows the materials (water, dirt) that are often present when workers have to climb in and inspect the culvert. As shown, the drone hovers above this, which improves on current ideas of remote controlled devices such as cars that have trouble getting through if its thick. 1 year should be sufficient to conduct all the data records necessary to make a clear judgement on the usefulness of the drone technology. This allows for a trial and error period, to determine which devices are suitable for certain tasks, eg. Smaller drones to get into more confined spaces, and looking at the possibility of using a ‘one drone suits all’ methodology. This will take the year to try different ones and see which are the most effective. As soon as the proposal is processed and reviewed, the immediate use would be up to the jobs that need working, which I presume would be by the end of this current (2015) year, early 2016. Once the required equipment is chosen and deemed useful to use, the tests would be subject to the inspector’s advice. At the moment, drones have been used for a number of precision surveillance purposes that regular human viewing is limited to. One example is the area of agriculture, to which I’m currently studying its potential now. Crops can be seen from a birds eye view above the paddock that can identify areas that need pesticide spraying or watering, instead of having to do the whole crop. This saves on resources and time, much like it would assist in the area of surveillance at the RMS. Lately reports have also indicated that ‘traffic watch’ jobs are set to evaporate as these UAVs (un-manned aerial vehicles) do it better and cheaper. Maintenance personnel at the University of Wollongong have also approached me and my fellow teachers when we were developing an expertise of them one day, above the possibilities to use the technology to inspect and observe the roofs of building around UOW campus. Things like gutters and tiling on the rooftops require, at the present time, workers to climb on top of buildings to make the observation. With this technology a quicker and easier way to do this would be to send a drone and detail the results . I see a potential for council organisations being able to harness the potential of drones for similar processes. Surveillance or observation of plantation in council areas of tree growth is a perfect job for aerial photography. Buildings that are of council importance can be checked for maintenance with a birds eye account of the premises. Aerial photography today is still an expensive endeavour, however with the quality of the cameras ever improving, the potential to use a drone to take photos for council promotion and marketing of a city or town is a cost effective trade. The flight height of a drone can match the previous technique to get a broad wide lens shot of a population, and this idea has been used by cinematographers in landscape shots for film. The great asset of drone footage and photo processing is that it’s as simple as copying the data onto a USB memory stick and viewing them in simple PC viewers (ie. Windows media player, VLC etc.) That way, anyone is able to be educated and can analyse instantly, even on site. The option is there for the user to record data onto a smart phone or tablet, however, the USB recording option allows the results to be determined as useful or not within minutes of landing the drone. Distributing these results are just as easy as simple files eg. in the mp4 format. – a personal choice of drone in terms of cost, features and flight training. This drone costs around $1500-$3000 depending on the bundle of extras wanted, or unwanted. 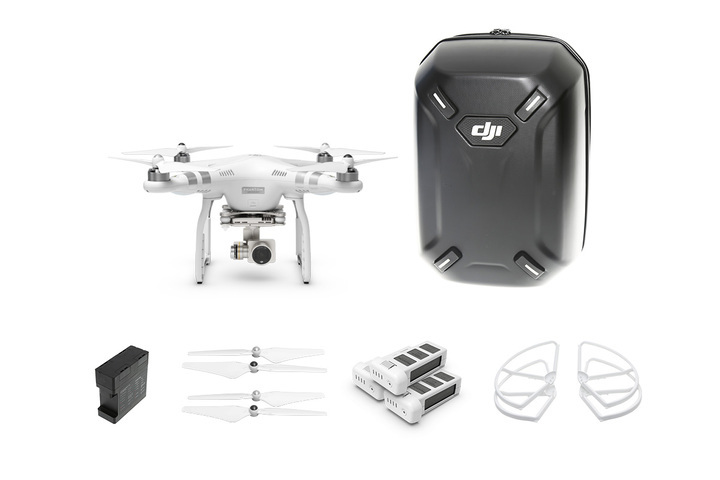 The higher price would include things like a carry case, extra batteries, spare propellers, protective guards. All of which increase the price according to the extras one wants. -4K video at up to 30 frames per second and capturing 12 megapixel photos, 3 axis gimble which stabilizes your video on all 3 axis (yaw, pitch and roll), 3-axis gimbals are able to greatly reduce and sometimes completely eliminate jello due to a third motor that helps absorb unwanted movement in the yaw axis. Using 3-axis gimbals will result in shorter flight times so to solve this problem, simply bring along extra batteries when you go out flying, extra batteries range from $150-$250, depending on strength with the $250 option giving approx. 25mins extra flight time. This gimble ultimately gives the user the opportunity to control the camera without moving the drone, or rather, while it’s stationary hovering in the air. -record over distances up to 2km and in real time, simply by connecting a smartphone or tablet a 720p (High definition) view of everything your camera sees as the drone is flown, displayed live. This immersive view streams with absolute clarity enabling the perfect angle/shot of the target. most-used features on the included remote controller, giving you full control and manoeuvrability through un-manable terrain. – A unique Beginner Mode helps you learn how to fly in a safe, limited area. Your Phantom 3 can be set to fly only within a given distance and altitude from you, protecting your Phantom and making it automatically stay inside your desired limits. This invisible, GPS-enabled “geofence” prevents you from accidentally flying into unwanted areas or obstacles, and helps to learn at the same time. – a safe auto piloting mode thus: Auto-take off With one tap in the DJI Pilot app, your Phantom 3 will turn on its motors and rise to a pre-set height. It will then hover perfectly in place until you direct it where to go. Auto return-home When GPS is available, your Phantom 3 remembers the exact spot that it took off from. Wherever your aircraft is flying, tap a button to have it return right back home. And Failsafe If the Intelligent Flight Battery is running low, or if your Phantom 3 loses the connection with your remote controller for any reason, the aircraft will automatically return to the takeoff point and land safely. High voltage, energy, and power combine to give you a great flight experience. This Intelligent Flight Battery has built-in sensors and bright LEDs that let you know the status and remaining power of your battery in real time. Your Phantom 3 continuously calculates its current distance from you and the amount of power needed to return, so you always know how long you can continue flying and when it is time to recharge. To determine if this product is right, field testing is vital. The results are efficient and won’t be completely wasted if some things can’t be recorded, because the practicality is obvious. Drone technology has not yet released a product that has a completely vertical camera view and is unable to use the camera underneath and fly upside down. This can be prototyped further in terms of a 3D printer, a go pro (or small portable camera alternative) and a zip tie facing upwards. This being said, development in the demand and usefulness of this product in the services of the RMS and other groups would see the Drone manufacturing companies respond accordingly. For the purposes of bridge maintenance however, this particular drone has the optimum flight time/recording features for the most cost economical price on the market. As the more money is invested into the product, the more increased these to variables are. This entry was posted in DIGC202 and tagged Agriculture, DIGC202, Digital Artefact, DigitalMedia, Drones, quadcopter, RMS, RTA, Surveillance, UAV. The Internet of Things was a completly new notion of thinking for me, and something I was really unfamiliar with, however upon researching and watching various videos about its utility, its got me curious and hooked. A term coined in 2008 by MIT Media Lab it looks at conceptualising the next stage in communication networks and developing information flows. It is revolutionary in terms of communication and explores how physical objects can connect to the internet. Once these objects are unified to a previously humanised internet, they gain a network address specific and unique to them, like the codes on the bottom of most laptops for example. These objects then obtain a sensory capacity whereby they can register changes to their environment. Something like detection of weather patterns or time (alarms etc.) is then stored and processed as information data on the device or in a storage database. The future is to independently initiate themselves based on the aggregate of content. The materiality doesn’t become the priority – it is the mass content aggregation. Something I’d love to see done in the future is Drones, robots and T-Shirts connecting to the Internet of Things. Drones are closest in terms of utility with their link with GPS and wifi to smartphones and tablets. I think a live stream of a twitter feed or hashtag would make an interesting aesthetic, something CuteCircuit could pioneer. This entry was posted in DIGC202 and tagged Communication, content aggregation, Cute Circuit, Internet of Things, IoT, Twitter, wearable technology. The comfort in the Internet being an ‘open’ source of free speech and a surveillance free medium is ludicrous nowadays with the rise of control and monitoring by gatekeepers. The irony of the gatekeepers is that people always work out a system around their efforts in an attempt that information wants to be free. The idea today, is that these groups employ tactics in order to infiltrate, manipulate and ultimately control the content. By doing this however, they’ve completely lost the means of which the internet is there for and simply compromised the authenticity of the internet. infiltrate, manipulate and produce false material which they then use to destroy the reputation of their target. Use social science tactics and techniques to generate outcomes that they believe to be desirable. To achieve the outcomes they post comments and falsely blame someone else or come across as the victim or as if they’ve been affected by the reputation they want to ruin. This entry was posted in DIGC202 and tagged Commentators, Cyberwar, Dark Fiber, Gatekeeper, Hackers, Internet, JTRIG, Surveillance. This soundcloud podcast is an extension of my Digital Artefact that looks into the use of drones in agriculture, in the form of an interview phone call. I wrote some questions that addressed the research I undertook at Jodie Wards property in Central West NSW and she answered them whilst I recorded it that allowed me to reflect on the work from a first hand perspective. I realised I could showcase this work and explain how it will change the way agriculture embraces technology, yet a first hand feedback talk with a farmer and potential user proved to be very useful. I told her that there was no wrong answers and it would be completely informal, and just to say whatever came to her. This being said, the intellectual reflection and professional approached opened up new opportunities and considerations when thinking about the work I undertook. The podcast is a great example of how the technology has a way to go before it becomes a reliable and mass produced service for farming. This entry was posted in DIGC202 and tagged Agriculture, Digital Artefact, Drones, Farming, Feedback, Interview, Podcast, soundcloud, Technology. Upon the idea of internet hacktivism and the cases of Julian Assange and Edward Snowden I decided to go back to the groups of notorious hacker groups and understand where the foundations of the Anonymity comes from with the global trend of wearing the common mask shown in stereotypical anonymous subjects. The mask represents a 17th century Roman-Catholic terrorist, Guy Fawke, who plotted to overthrow the government at the time and let his daughter sit on the throne aged nine. He plotted to do this by a method called “The Gunpowder Plot” an invention that would kill King James I. Fawke was victim to an anonymous letter that contained his conspiracy and he was later tortured to revealing his plans. The history of this was later adopted into the film V for Vendetta which showed the main protagonist fighting against an authoritative figure whilst wearing a grinning Fawke mask. Today the mask symbolise anonymity amongst people who rally in protests as well as being adopted by Assange himself and Wiki-leaks. It is a pop-culture phenomenon that allows people to be hidden as well as serve as a collective face to those serving the same cause. This entry was posted in DIGC202 and tagged Agriculture, Anonymous, Edward Snowden, Fawke Mask, Gunpowder plot, Hacktivism, Internet, Julian Assange, V for vendetta. Part 3 of my exploration of the use and potential of drones on farming areas, this time focusing on more sheep observation data and crop surveillance, as well as an exciting prospect of property planning and housing placement. Using my Parrot A.R 2.0 drone I recorded the footage and have put together for the next compilation of exciting features. The Drone allows a greater perspective of the land and the abundance of animals, thus giving the individual farmer or farmers time and money to invest in areas they can pinpoint easier. This entry was posted in DIGC202 and tagged A.R Parrot 2.0, Aerial Photography, Agriculture, Crops, Digital Artefact, DigitalMedia, Drones, Farming, Sheep, UAVs.